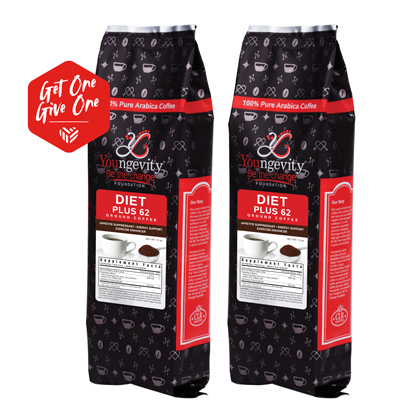 Our Diet Plus 62 coffee is a coffee blend for gourmet with nutrients to burn fat and supports a healthy appetite. YBTC coffee is grown and harvested in our own plantation in the high mountain region of the Nicaraguan jungle. It is grown under the highest standards guaranteeing the best pure Arabica 100% . 100% Arabica Coffee (ground), Propriety Blend: Garcinia Cambogia (50% HCA), Citrus aurantium Extract (10%), USP Caffeine, Chromium Polynicotinate.